Gov’t Mule is one of my favourite bands, and not just because their original music is so damn fine. Once in a while they’ll do a cover of an old blues tune that inspires me to search out previous versions, with wonderful results. Like back in 1998 when they recorded “John the Revelator” on the album Dose. That got me to check out Son House’s acapella version from the ’60s, and it’s one of the bluesiest things I’ve ever heard. 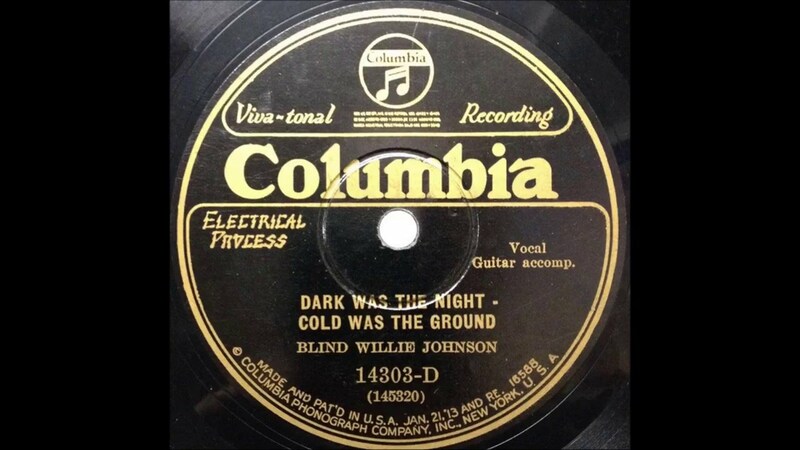 Last year the Mule turned me on to another deathless blues gem, Blind Willie Johnson’s “Dark Was the Night, Cold Was the Ground”, when they recorded it on Revolution Come…Revolution Go.